You can add your organisation's name to this call to action via the form here. Funding and political support for harm reduction is in crisis in many countries around the world. 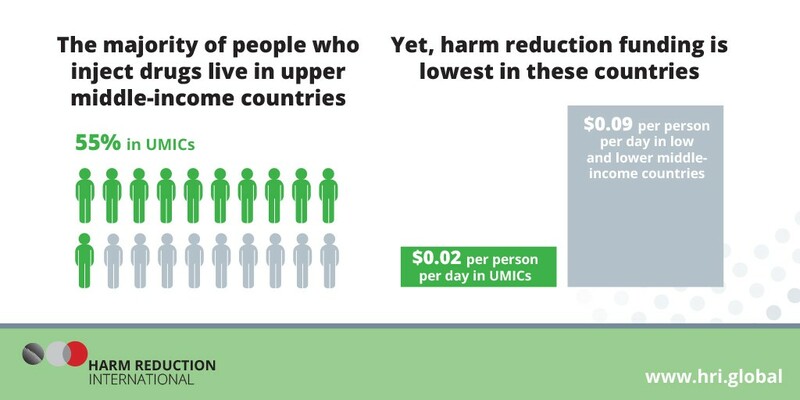 Harm reduction is evidence-based, cost effective and has a positive impact on individual and community health. While harm reduction is far broader than HIV prevention, this call to action centres on galvanising urgent action to secure a strong 6th replenishment of the Global Fund to Fight AIDS, TB and Malaria (Global Fund), in recognition of the significant impact of HIV and TB on people who use drugs. As advocates, activists, researchers, donors and policy makers from around the world gather in Porto, Portugal, for the 26th Harm Reduction International conference (HR19), we take this opportunity to express our concern that people who use drugs have been left behind in the fight to end AIDS by 2030. 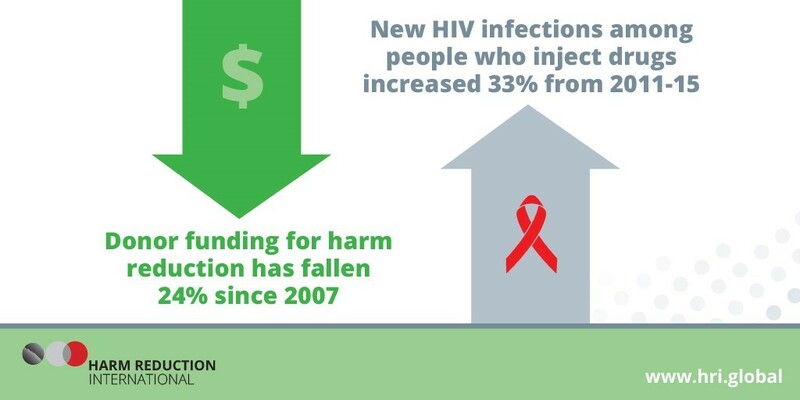 Harm reduction interventions for people who use drugs—such as needle and syringe programmes (NSP) and opioid substitution therapy (OST)—are proven to protect against HIV and hepatitis C, and save lives. However, the global provision of harm reduction interventions is critically low, with only 1% of people who inject drugs living in countries with high coverage. HIV infections among people who inject drugs continue to rise, accounting for over one-third of new infections in Eastern Europe and central Asia, and the Middle East and North Africa in 2017. 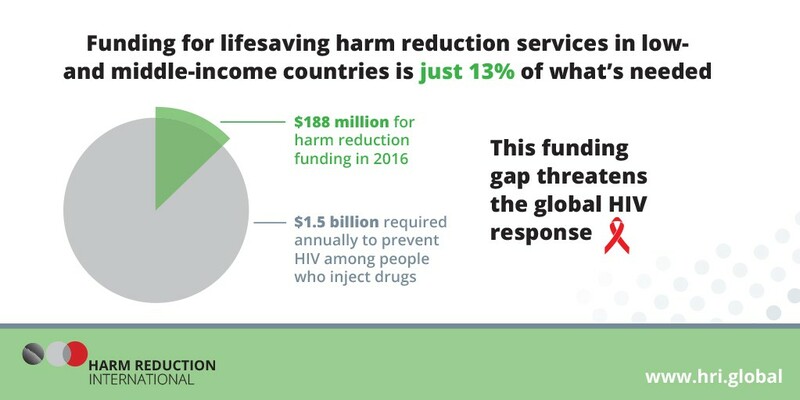 Funding for harm reduction in low- and middle-income countries (LMICs) remains overwhelmingly reliant on international donors. The Global Fund is the largest donor for harm reduction, and contributed two-thirds of all donor funding in 2016. It has been crucial to initiating, scaling-up and sustaining harm reduction programmes in many countries and has prevented countless HIV infections and improved lives around the world. In particular, Global Fund catalytic investment funding provides a vital lifeline for community-led and civil society advocacy for harm reduction. This is crucial in the context of donor transition, where strong, sustained advocacy with community participation is needed to sustain life-saving services for people who use drugs and to drive domestic investment in high quality, human-rights based harm reduction approaches. 1) We, the undersigned, call on governments, philanthropic donors and the private sector to step up and fully fund the Global Fund. We call on them to make ambitious pledges to ensure the US$18 billion target is reached. 2) We call on governments to put “People before politics” and ensure that people who use drugs are not left behind in the fight to end AIDS by 2030. 3) We call on the Global Fund Board to safeguard catalytic investment funds, regardless of replenishment outcome, in order to sustain life-saving services for people who inject drugs and to incentivise domestic investment in harm reduction.